Grinding is a process that can transfer a large amount of energy converted to heat to the component. When the amount of energy is too large, the microstructure of material changes resulting in grinding thermal damages or grinding burns that mostly arise in hardened components. Grinding thermal damages are common and critical issues as they reduce component performance. Grinding burn can shorten the fatigue life and can cause failures in dynamically loaded components. The consequence is unceasing research on monitoring and evaluation of the thermal damage caused by grinding. 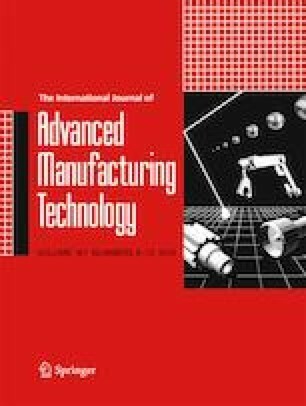 In order to assess the influence of process parameters and their role on the generation of thermal damage, statistical techniques such as design of experiment (DoE) and analysis of variance (ANOVA) were used. The statistical approach was adopted to elaborate and execute a testing plan and to analyze the collected data. Moreover, the implementation of the response surface methodology (RSM) allowed obtaining regression models and the corresponding surface plots to estimate both the tangential and the normal components of the grinding force. This analysis provided useful information to avoid grinding burn occurrence.